Are They Justified? How Successful Are They Likely to Be? The principal constituent of cannabis, Δ9-tetrahydrocannabinol (THC), is moderately effective in treating nausea and vomiting, appetite loss, and acute and chronic pain. 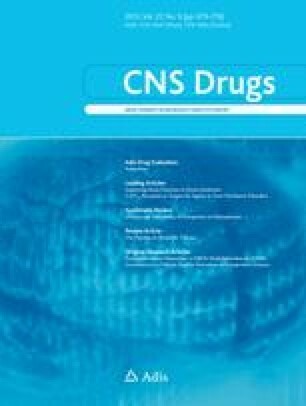 Oral THC (dronabinol) and the synthetic cannabinoid, nabilone, have been registered for medical use in the US and UK, but they have not been widely used because patients find it difficult to titrate doses of these drugs. Advocates for the medical use of cannabis argue that patients should be allowed to smoke cannabis to relieve these above-mentioned symptoms. Some US state governments have legislated to allow the medical prescription of cannabis, but the US federal government has tried to prevent patients from obtaining cannabis and threatened physicians who prescribe it with criminal prosecution or loss of their licence to practise. In the UK and Australia, committees of inquiry have recommended medical prescription (UK) and exemption from criminal prosecution (New South Wales, Australia), but governments have not accepted these recommendations. The Canadian government allows an exemption from criminal prosecution to patients with specified medical conditions. It has recently legislated to provide cannabis on medical prescription to registered patients, but this scheme so far has not been implemented. Some advocates argue that legalising cannabis is the only way to ensure that patients can use it for medical purposes. However, this would be contrary to international drug control treaties and is electorally unpopular. The best prospects for the medical use of cannabinoids lie in finding ways to deliver THC that do not involve smoking and in developing synthetic cannabinoids that produce therapeutic effects with a minimum of psychoactive effects. While awaiting these developments, patients with specified medical conditions could be given exemptions from criminal prosecution to grow cannabis for their own use, at their own risk. The authors served respectively as Chair and Research Officer for the New South Wales Working Party on the Use of Cannabis for Medical Purposes. We thank the members of this group for improving our understanding of the scientific, regulatory and political issues raised by proposals to allow the medical use of cannabis. We thank Eva Congreve for help in locating literature, Heather Niven for helping to format the paper and Sarah Yeates for help in checking references. The preparation of this work was supported by core funding for the National Drug and Alcohol Research Centre at the University of New South Wales from the Commonwealth Department of Health and Aged Care; funding from the NSW government for Louisa Degenhardt’s salary to prepare the Report of the Working Party on the Use of Cannabis for Medical Purposes; and by the Vice Chancellor’s Strategic Fund at the University of Queensland. The views expressed are those of the authors. There are no potential conflicts of interest other than the authors’ involvement with the NSW Working Group on the Use of Cannabis for Medical Purposes.